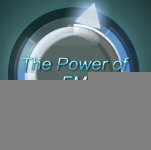 Every part of this workshop consists of three modules: a theoretical one explaining how frequency modulation works, a practical one introducing an FM/PM VST (the DX7 clone "DEXED" in parts 1-3) or hardware synth and an even more practical one patching certain sounds with the instrument following a previous developped plan. 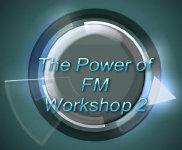 We continue developping our system of FM/PM sounds and finish our journey through “DEXED” in this workshop 3. Then we analyse a complex violin patch, which was made by Brian Eno in 1987.